I was inspired to start filming by a number of incredible cruise YouTubers, I may have to start called them CruiseTubers… Below are five of my favourites, in no particular order! Honest cruising follows the adventures of Ben and David (seen above). They provide honest reviews, cruising tips/tricks, ship tours and much much more. Ben and David have recently been on a cruise onboard one of my favourite cruise ships, the Norwegian Getaway so I am really looking forward to watching their ship tour/review which no doubt will be coming soon! I particularly enjoyed Honest Cruising’s recent ship tour of the Norwegian Jade. The tour is filmed in 4K UHD (super super HD) and is so smooth I feel like I’m flying around the ship. I am really excited to meet Ben and David on a ship tour soon! Make sure you visit Honest Cruising by clicking here and check out their latest video below. Sheri at Cruise Tips TV produces cruise vlogs, tours and travel tips. She comes across on camera incredibly energetic and friendly, this is reflected in her highly engaged audience who love to ask her questions and participate in live streams. She is so fun to watch, I really feel as though I have been on some of those cruises with her. Cruise Tips TV provides brilliant tips for first time cruisers and more experienced travellers alike, Sheri’s husband seems to do all the the tech side so definitely think he deserve a mention here! Way to go Mr Cruise Tips TV. 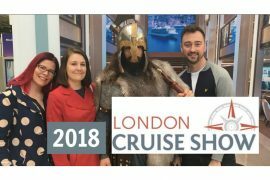 You can visit Cruise Tips TV by clicking here, make sure you watch one of my favourite videos of theirs below! Find them on twitter/instagram @CruiseTipsTV. Well well well, what can I say about Scott Singer Cruises. Scott Singer Cruises is about a person who Cruises and… wait for it… HIS NAME IS SCOTT SINGER. Scott is one of my favourite human beings, if ever I am feeling down a cruise vlog by Scott will have me laughing within a minute. Make sure you click here to subscribe to Scott: ScottSingerCruises.You can also visit him at ScottSingerCruises.com and follow him on Twitter (@scotts_cruises) and Instagram (@scottsingercruises). No Cruisetubers list would be complete with the Sea Cruisers! The Sea Cruisers are two American sisters who travel with their children. They vlog EVERYTHING! It is really easy to get lost on the Sea Cruisers YouTube for an hour or two. Their vlogs are a brilliant way to get an insight into a ship or port that you haven’t visited before. I hope one day that I will be able to cruise as much as the Sea Cruisers, they always seem to be somewhere exciting! Make sure you subscribe to them here: SeaCruisers. You can follow them on Instagram too @seacruisers. You may recognise Paul and Carole as they guest blog on our site! Bringing us brilliant content about Thomson and Royal Caribbean. On their YouTube channel Carole and Paul (that sounds weird) bring us travel tips, hotel reviews, ship guides and a lot more. I am particularly a fan of their Thomson videos, I’ve learnt a lot about Thomson from them. Carole usually narrates the videos, she has a fantastic way of explaining things which means that I could happily watch their videos for hours. Make sure you subscribe to them here. You can also visit them on Twitter @P_andClovetotravel and Instagram @paulandcarole. You’ll also see them around this site and can read more about them on the about us page. Just incase you aren’t completely fed up of cruise videos by now… click here to subscribe to me! 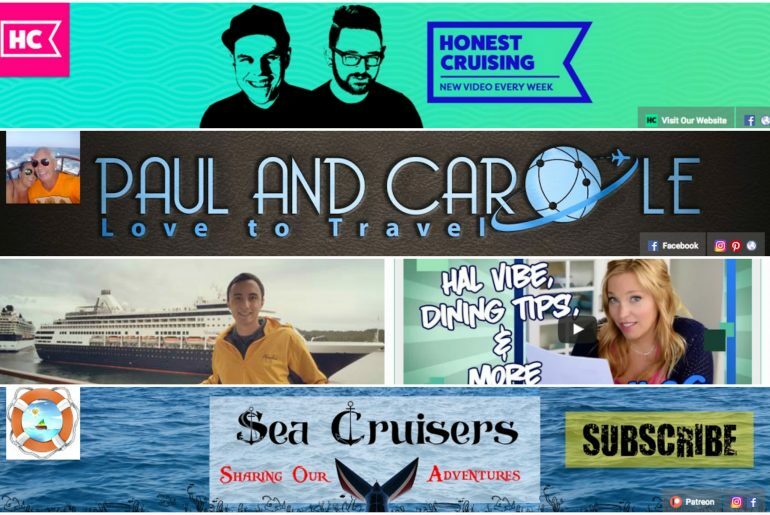 Who is your favourite cruise tuber?! Let me know in the comments. Thanks so much for including us, we are honoured to be in such good company! We are off on the Thomson Dream on Friday so look forward to sharing all things cruise. 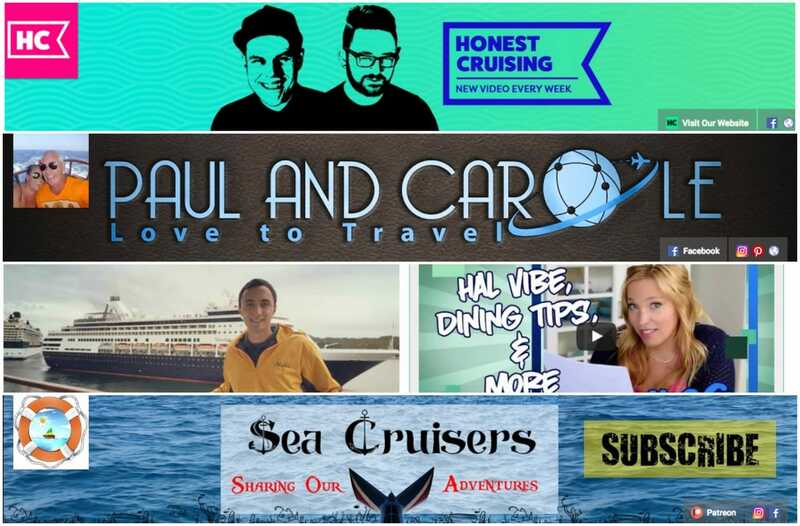 Love the term CruiseTubers lol! Thanks so much Emma for including us! Mr. cttv appreciates the shout out ❤️🎬. See you on the high seas.